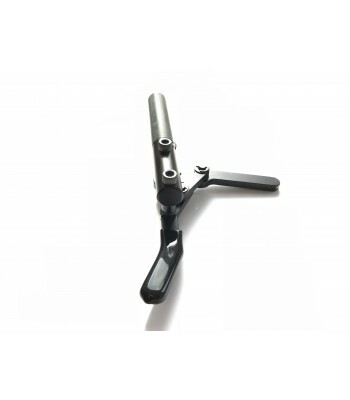 Universal scissor brake to fit most of the Top End, Kuschall and Quickie range of wheelchairs. The brake is mounted with a brake clamp (not included) under the frame of the wheelchair keeping the brake out of the way when not locked on. 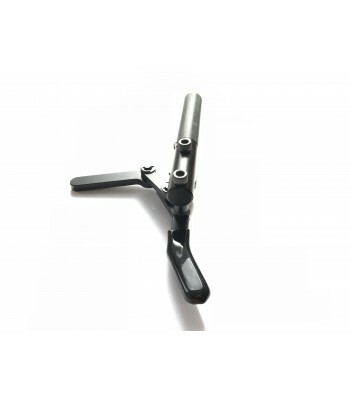 Universal scissor brake to fit most of the Top End, Kuschall and Quickie range of wheelcha..
A two piece clamp used to attach brakes to the wheelchair frame of most of the Quickie whe..
New compact wheel lock from Quickie. The best compromise between a push to lock and a sci..